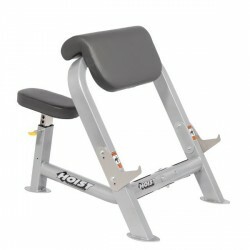 The Hoist weight bench HF4145 provides training conditions of a fitness studio at home. 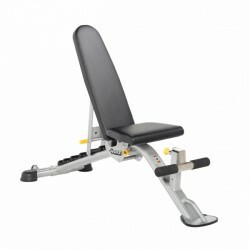 The back rest of the foldable weight bench HF4145 is adjustable in five positions. Therefore, it allows a varied training. Thanks to the versatile adjustability, the Hoist Folding Foldup/Incline Bench offers optimal training conditions like at gym. 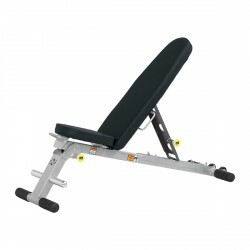 The backrest of the foldable weight bench HF4167 is adjustable in 5 positions and offers a training full of variety. Hoist's weight bench HF4170 provides gym-like training conditions due to its additional barbell rack. 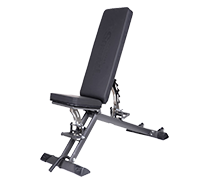 The weight bench HF4170's backrest is angle adjustable from -10° up to 75° and thus facilitates a highly varied workout. 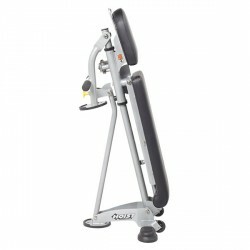 The high-quality Hoist Curl desk HF4550 specifically trains arm and shoulder muscles. The integrated barbell shelf is an additional training support. 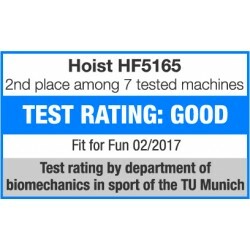 The Hoist weight bench HF5163 offers varied training possibilities, being construed in a compact, easy, and space saving way. Extremely stable, extremely safe. The flat bench of Hoist can be loaded up to 454 kg. The Hoist Flat Bench convinces at gyms ! 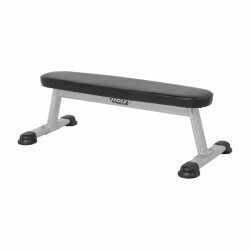 High-quality flat bench of gym quality ! Hoist is the first choice regarding high-quality strength training equipment. Hoist weight benches convince by their quality without compromise for gyms and hotels - and even for ambitious leisure athletes, Hoist offers excellent weight benches of highest quality. There are many good weight benches, but the quality of Hoist weight benches is unique. A Hoist weight bench is carefully made of best materials. The frame is made of heavy steel and is neatly welded. This gives the Hoist weight bench an enormous stability. Upholsteries of a Hoist weight bench are made of special synthetic leather and are very hard-wearing. They guarantee a maximum lifespan and comfort for doing strength training exercises. Multi-functional benches of Hoist are equiped with high-quality engage adjustment mechanisms. This engage system is the most durable and safest system to make adjustments on a weight bench. It is user-friendly and is quickly adjusted between the training sessions. A fixed flat benche of Hoist is extremely loadable. The Hoist Flat Bench can be loaded up to a maximum weight of unbelievable 450kg. This enormous stability is achieved by waving of adjustment possibilities. These powerhouses resist any load even for intensive use at gym.